The Government lies…constantly. A co-worker sent me an article yesterday about Iran capturing one of our drones and repurposing it for Iranian use. It does not matter if they can, or will…what mattered to me in the article was that the Government initially lied to us about Iran having it, then when shown evidence they had it, lied to us about how they acquired it, saying it crashed, when in reality, Iranian operatives simply spoofed the on-board GPS and tricked the drone to land safely in Iran, which, considering the $36B the Government had allocated only months before to “work out the issues with drone GPS guidance,” makes complete sense – as does the photos of a perfectly intact U.S. drone in Iranian hands. You are lied to, daily, by your own Government. They lie about keeping your doctor, they lie about not spying on your email and internet searches, they lie about not targeting conservative groups, they lie about not raising taxes, they lie about leaving Afghanistan, they lie, they lie, they lie, they lie. But you continue to vote for them. I don’t know who is more evil. 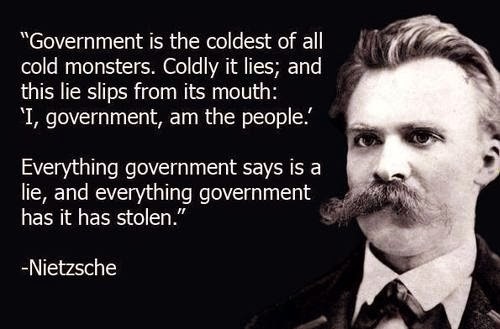 The Government…or you.